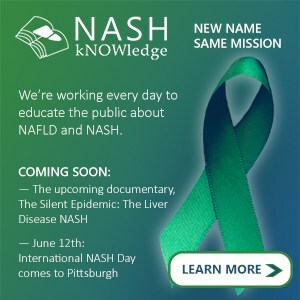 “California University has coordinated the presentation of content in their courses to align with our nursing content, they have scheduled courses to coincide with our semesters as we needed, and they have opened their library resources — both brick-and-mortar and online — to all the Ohio Valley Hospital School of Nursing students,” says Valerie Gaydosh, OVHSON director. The new alliance echoes an existing partnership with the Washington Health System School of Nursing, in Washington, Pa. Since its inception in 2015, that partnership has helped more than 170 students prepare to enter the WHSSN nursing program or earn the Diploma in Nursing required to become a registered nurse. Both nursing school partnerships ensure that students who become registered nurses can transition seamlessly into Cal U’s 100% online Bachelor of Science in Nursing (BSN) program. Online nursing degree programs at Cal U empower healthcare professionals to address the complexities of nursing care today. 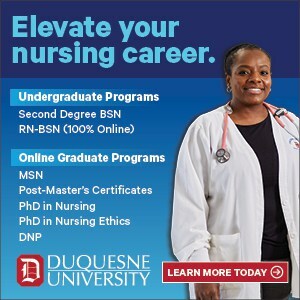 As hospitals nationwide attempt to meet the Institute of Medicine’s recommendation that 80% of nursing staff hold a BSN by the year 2020, Cal U’s online RN-to-BSN program makes it convenient for registered nurses to earn a bachelor’s degree while continuing to work full time. Cal U also offers 100% online master’s degrees in nursing and nurse education, as well as a dual MBA-MSN degree. Post-master’s certificates are available as well. At all levels, Cal U staff work closely with students to assure a high-quality educational experience. “Cal U has decades of experience in educating nurses throughout their careers,” says Dr. Robin Weaver, an assistant professor of nursing and coordinator of the online BSN program. 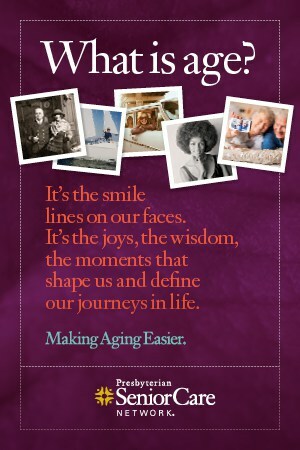 Information about Washington Health System School of Nursing is online at https://www.washingtonhospital.org/schools/nursing/. 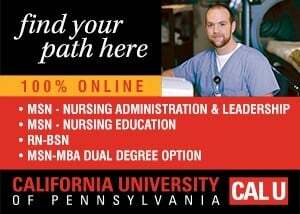 For details about online nursing degree programs at California University of Pennsylvania, visit www.calu.edu/nursing. Christine Kindl is Vice President for Communications & Marketing for California University of Pennsylvania.